Increasingly people looking for rental apartments in the more central areas of Copenhagen are finding the market is getting tougher and tougher. Families are competing against groups of young people looking to share larger apartments and the number of properties of a suitable size for families are thin on the ground. Many people are looking at moving to areas further out of the city in a bid to find affordable but decent accommodation. 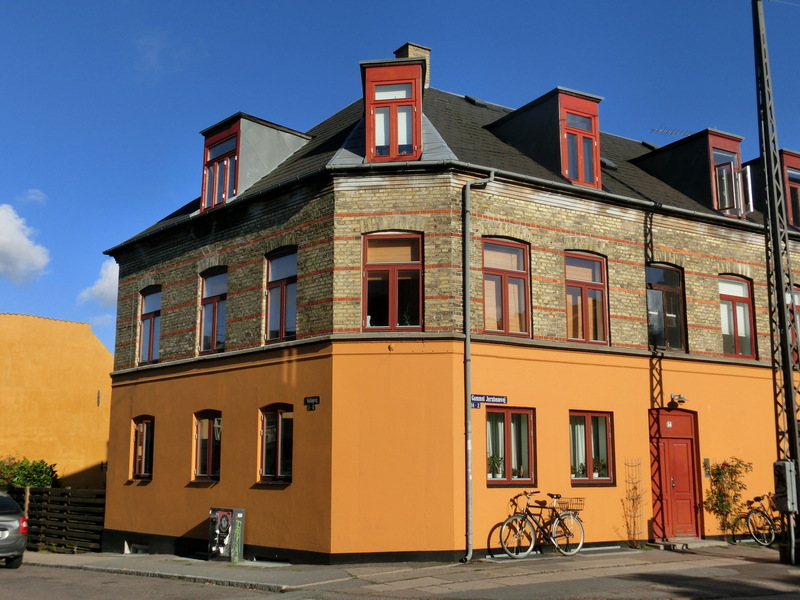 Valby is certainly a district of the city that offers a great alternative to living in Frederiksberg or Vesterbro (both competitive and increasingly expensive areas). So what are the plus points of Valby? Firstly public transport there are regular buses from the centre of Valby into Frederikberg and beyond and out towards Fields. 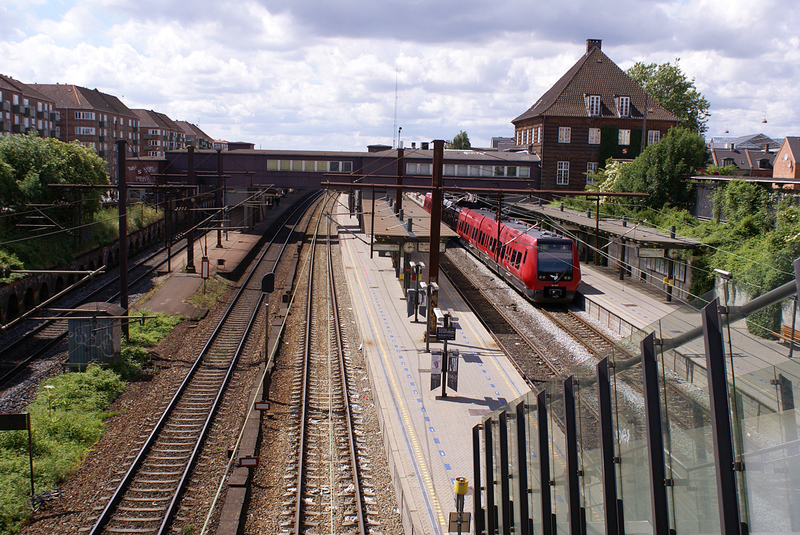 The trains from Valby station take just 11 minutes into Nørreport and it is located in Zone 2 so no extra fares if you have a normal two zone travel pass. Valby is well served for shopping with a number of supermarkets (Irma, Kvickly, Netto, Meny and Fakta) to choose from and the small shopping centre, Spinderiet, with all the usual suspects you would come to expect from BR, Tiger, Søstrene Grene, H&M etc. There is also a great, thriving high street with a number of individual shops including bakeries, butchers and fishmongers. Valby is not the place for hipsters or trendsetters but it certainly offers everything you need. There are lots of lovely little coffee shops and cafes, mainly centred on and around Valby Langgade. For entertainment there is a small cinema, Valby Kino, a number of restaurants both local and smaller chains such as Halifax Burger and Sticks and Sushi. There is a Big Bowl bowling centre close to the station. There is a small library with a borgerservice (kommune advice centre) and for children there are a few small playgrounds. If you are English-speaking and looking for private daycare for your under six year old there are two options in the area (both possibly with waiting lists), The International Montessori Preschool and Kids r Os. The huge park Sondermarken is an easy walk from Valby and offers a large children’s playground and lots of space to run around, exercise or just have a picnic. Through the park it is just a short walk to the Zoo and Frederiksberg Have. At the end of Valby furthest from the city is the vast Valbyparken which offers the largest nature playground in Denmark. The park also has a beautifully laid out rose garden and other themed gardens. You can easily reach this park by bus or bike from the centre of Valby. Valby Hallen is a large multi purpose leisure complex and next to this is Valby Vandkulturhus (water culture centre). This is a swimming stadium for the whole family, which also offers a large wellness area. It is also renowned as a low-energy pool which uses 25% less energy than other similar places in the country. Cisternerne is also located in Sondermarken and offers interesting exhibitions. The film company Nordisk Film is located in Valby and offers guided tours of their studios. Carlsberg Visitors Centre and TAP1 are also very close. A downside of Valby is that is feels a little tattier and older than its trendier or posher neighbours of Vesterbro and Frederiksberg. There is more mindless graffiti here than in the neighbouring districts. As an expat you may feel that it is a little too old school Danish for you – there is certainly a genuine mix of older Danes, working class people as well as newer immigrants and young families. It is not a slick and trendy part of town but it feels as if it has a heart. Here’s what Visit Copenhagen has to say about it. In the next few years the area around Carlsberg will undergo massive redevelopment under the name of Carlsberg Byen. This will result in more commercial, residential and academic locations opening up and will change the face of this area. There will be a new metro station at the bottom of the hill on Frederiksberg Alle and Enghave Station is in the process of being moved closer to Carlsberg. I believe this will impact on Valby and will perhaps bring it more to people’s minds as a destination or a place to live, perhaps it may yet become a hipster haven, in the meantime it is a great option if you are looking to rent a larger family apartment but still enjoy the benefits of the city. Photo 1 credit plus interesting facts about Valby. Next How was your summer?